CELEBRATE with this lovely SPRING RETURNS Basket! 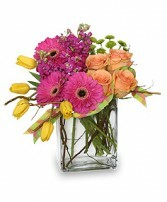 Pave the way for warmer weather with spring flowers from Sandy's Flower Shoppe. Call direct or order a spring flower arrangement now from our website. Giving Beautiful Fresh Flowers Will Fill Her Day with Sunshine and Love. 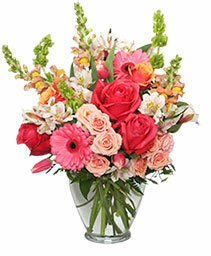 To Send a Floral Arrangement in the Morehead City, NC area, Call Sandy's Flower Shoppe Direct or Order Flowers Now from our Website.